Forderverein Arche Noah Kreta e.V. 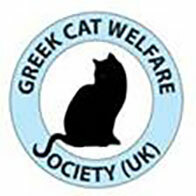 supports and helps our association plus the Rethymno municipality by providing vets, when possible, plus covering expenses for the neutering of stray animals at the municipal clinic. Members of our association "Friends of Animals - Rethymno" catch/collect/trap stray dogs and cats to be taken to the clinic for neutering and then care for the animals after the operation until we either have a home for them or the animals are well enough to be returned to the streets. Mostly cats are returned to where they were caught and in a few cases dogs. Unfortunately, we are not able to find homes for all the animals. Neutering is the best way to reduce unwanted puppies and kittens.